Always attentive to the larger ideological contexts of these institutions, the key strength of Denton’s analysis is the rich, exact description of specific examples, especially of the often “ironic juxtaposition” (1) of these displays. He opens with a short narrative on the 2011 reopening of the National Museum of China (the former History and Revolution museums) with its two displays, the permanent Road to Revival and the temporary Art of Enlightenment, which were followed two months later by displays of Louis Vuitton luggage and Bvlgari jewelry. This example points to not only ideological tensions, but also a certain sense of the bizarre in this latest, post-Tiananmen “dynamic burst” of museum building and rebuilding in China. At this point I would like to “flip” book review conventions. Instead of proceeding to an overview of the contents of the study, I want first to go to a conclusion, leaving the “counting of the parts” for the end of the review. I do this for two reasons: first there is an intellectually compelling layer of Denton’s work that should not be left to a remainder; and second, the sheer volume of material and details covered in the work defies any adequate survey, so I will make that the remainder. In the deep structure of Denton’s objects of study is a pervasive sense of dissonance, both emotional and intellectual. Although Denton does not use the term “dissonance,” he does often refer to “duality,” “inconsistency,” “tension,” “conflicted views,” “contrasts,” “schizophrenia,” and even “tongue in cheek”; it is, however, his frequent reference to “irony” that is most important to this sense of dissonance. Denton uses the descriptor “ironic” to highlight the disparities found in the postsocialist exhibition site, such as in the “golden triangle” of memorials to Mao Zedong, Liu Shaoqi, and Peng Dehuai, where “tourist officials seem almost unaware of the irony of creating a tourist triumvirate of these three figures” (230). This is an irony grasped by the informed “reader” of this text (knowing of Mao’s purge of Liu and Peng) but not by the dimwitted official. In the following line, Denton mentions irony in slightly different terms: “On the tour in which I participated, older visitors seem to appreciate the irony; for the younger tourists, Mao, Peng, and Liu were of the same ilk lumped together indiscriminately as great historical figures from some distant and vague revolutionary past” (230). Thus, there is not only a structural dissonance of the site, but a social one within the tourists who visit it. And it is for the second set of naïve visitors that the new narratives and monuments are being formed. The goal of the other institution, The Museum of the Chinese Revolution, was to tell a progressive narrative that leads to the establishment of the People’s Republic of China as a revolutionary state. The dilemma it faced is how to carry that narrative through the second half of the twentieth century. Are those subsequent decades revolutionary, or communist, in development, or utopian? This requires an exhibit that “whitewashes” (a term Denton also often uses) the upheavals of the Maoist past and elides the traumas of the market economy (73). This is an intriguing interpretation and returns directly to Denton’s invocation of irony. Such a subversive reading requires that the visitor have some memory of that blank period to fill it with interpretation, otherwise the ten years remain vacant—this brings to mind the “blank space” of June, 1989. This is a central problematic of Denton’s study; we can never be sure when the conditions of a display are a knowable irony for the informed visitor or just another photo opportunity for a happy tourist. A central concern of Denton’s investigation is to expose the dissonance of these sites, although he seldom addresses that as directly as he does in this case. He generally lets the evidence stand on its own, poignantly without comment. We see this, for example, in his discussion of the complex new narrative of Lei Feng, full of delicious ironies; Denton concludes that discussion with the flat but also ironic statement, “Lei Feng has been turned into a deity who offers spiritual sustenance to business men caught in the empty materialism of their everyday working lives” (161). Among the tropes of dissonance that Denton finds in these postsocialist museums is that of duality, often embodied in the double representations at a given site: the solemn and conventional display hall versus the fun and interactive exhibition of the Naval Battle Museum in Guangzhou, for example. Denton’s investigation of that duality is especially well wrought when he turns to Lu Xun. The reasons for this are obvious: there are numerous Lu Xun memorials dating back decades, and Lu Xun appeals deeply to Denton’s literary interests. First the number of sites: prefaced by numerous temporary exhibitions and smaller sites, by 1959 six cities had their own permanent memorial sites for the author, each claiming a part of the Lu Xun biography for its own. This fecundity of examples allows Denton to trace closely the revisions of the Lu Xun narratives; for this he chose the Shaoxing memorial that was first established in 1951, completed in 1956, closed during the Cultural Revolution, reopened in 1974 and revised in 1976, tying it closely to the Mao campaigns, and revised again in the post Mao era to “delink Lu Xun from Mao and the Gang of Four” (184). In 2002 the site underwent a major expansion to create “Lu Xun’s Home Town,” that includes locations found in Lu Xun’s fiction (as if they were real); you can stop by the Kong Yiji’s Xianheng Wine Shop or visit Ah Q’s Land-and-Grain Temple. This transformation of a memorial hall into theme park is taken to its extreme in the creation of the stand-alone Lu Village (the fictional village where many of Lu Xun’s stories take place) outside of Shaoxing. Here you can meet up with the Ah Q impersonator, or visit the Madman Memorial Hall where, according to the official preface, “in personally partaking in the ten grotesque and bizarre and soul-stirring scenes, you will get an imagistic and entertaining education” (190). Education indeed. One of the most iconic short stories of modern Chinese literature is now a “kind of house of horrors” (190). The multiple sites of Lu Xun memorials demonstrate another type of duality that finds different forms in Denton’s analysis: the national versus the local. In the case of Lu Xun, six cities want a piece of the “national action” of the Lu Xun legacy. Another type of museum that makes similar local challenges to the national discourse are museums of prehistory and local culture in which the old “central plain” narrative is decentered. The two that Denton discusses are the Sichuan sites of Ba and Shu and the cultural claims from Chongqing and Chengdu that the Yangzi River basin, not just the Yellow River, was also the “birthplace of the Chinese nation” (42). Even more so, museums of current ethnic minorities are places where local culture is similarly celebrated. These museums range from state-funded ethnic nationality museums (民族博物馆) that “stress happy relations” (205) and even more exploitive theme parks, to alternative ecomuseums that are much more under local control. In these alternative sites Denton hopes for some rescue of the local from the nation, but concludes that “ultimately the ecomuseum may be no more authentic a representation than the theme park or state-sponsored museum” (213). In the end, all these institutional celebrations of the local culture are subsumed under the new national logic of the “unified multiethnic nation state (tongyi de duo minzu guojia)” (统一的多民族国家) (40). The dissonance produced by ideological change that Denton describes so vividly is not a Chinese characteristic; it is true for museums across the world—all we have to do is visit any museum created under colonial rule, such as the British Museum in London, to hear those vibrations; or any museum where the nation is invoked to hear the clamor of the local and national—witness the National Museum of the American Indian, whose very name is fraught with tension. What is different about the Chinese conditions is that the official ideology, which has clearly and openly driven museology throughout the short history of the PRC, has undergone such rapid and dramatic changes, barely consistent from year to year, decade to decade. Former foes are now enshrined as everlasting friends, revolutionary slogans have morphed into Louis Vuitton ads, and Confucius is back with a vengeance. For many Chinese these are not just historical changes, but changes in their lives. And that is wherein lies the deep irony that Denton explores to such great effect. I can now turn to a summary of the subjects where Denton explores this dissonant relationship of the state and museum in postsocialist China. He offers an introduction, eleven chapters, and a conclusion. 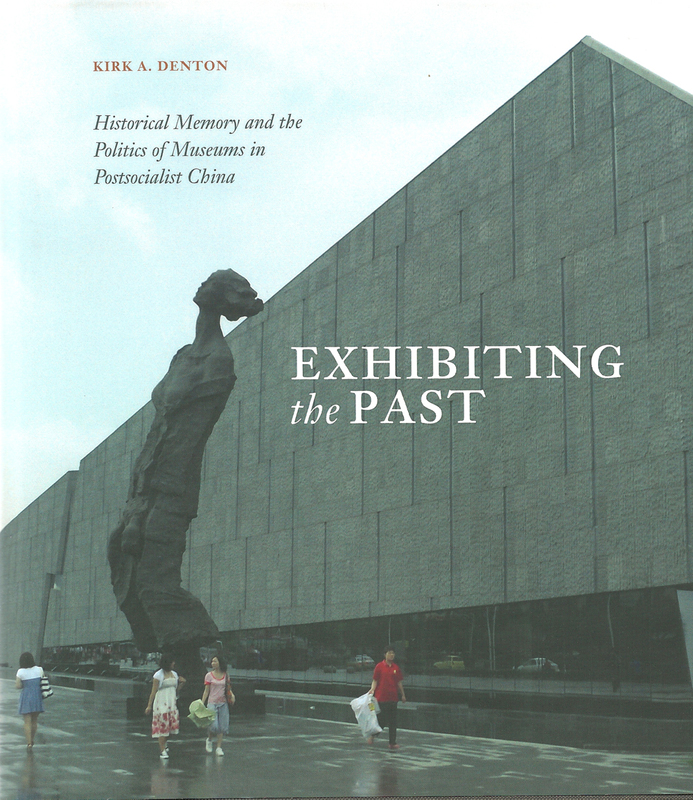 Typically Denton begins each chapter with an overview of the type of museum to be considered, including deep background in history, culture, and theory. This is followed by “close readings” of examples of the museum type. To call Denton’s detailed analyses “close readings” is appropriate in two senses: although his intellectual engagement of the modern museum and museology is a recent intellectual effort (see pp. vii for the account of his migration to this new topic), his literary training also informs this work; and his analyses are close readings in the sense they cannot be summarized: their strength is in their very performance. The first three chapters investigate the core issues of modern Chinese historiography: the premodern and the revolutionary past. Chapters 1 and 2 focus on the national museums that hold down the east side of Tian’anmen square. Chapter 3 then turns to engage the problematic of revolutionary history in the market economy, where commodified versions of the revolution are found: the Red Crag complex in Chongqing, the presidential palace in Nanjing (where the story of the Republican past is re-envisioned), and Xintiandi (where the revolution meets the shopping mall). Chapters 4, 5 and 6 turn toward even more solemn subjects of martyrdom, military history, and atrocity, respectively. Each chapter has extensive historical and theoretical underpinnings, but the “texts” considered are either recently established institutions, like the monumental Longhua Martyrs Park in Shanghai and the Yuhuatai Martyrs Park in Nanjing, or older institutions trying to deal with the current political conditions, as exemplified by the conservative Military Museum in Beijing where the cult of Mao lingers, and not in an ironic sense. Most interesting in this section is the struggle to find a new narrative regarding the War of Resistance against the Japanese, to justify the discourse of victor with that of victim. This is embodied in three structures: Memorial Hall of the Chinese People’s War of Resistance Against Japan, installed with revisions at the Marco Polo bridge (1987, 1997, 2005), the Nanjing Massacre Memorial Hall from the same time frame, and the modest but very disturbing Crimes Evidence Exhibition Hall on the site of the infamous Unit 731 where the “horror has to be conjured from the artifacts”—“hangers for human viscera, lab test tubes, saws, scalpels, and clamps, as well as prisoner identity cards” (150). The latter half of Denton’s study deals with three sets of different types of exhibitions, some expected, some very much not. Chapters 7 and 8 center on types of civilian exemplars. The first, “Heroic Models and Exemplary Figures,” engages one of the most ideologically driven types of display, even though the heroes and their monuments are very different: Lei Feng, Zhou Enlai, and Deng Xiaoping. Chapter 8 considers the changing public discourse on modern literary figures, especially Lu Xun. The next two chapters feature performative aspects of display. In Chapter 9, “Ethnic Minorities and the Construction of National Identities,” the ethnic other performs its role in a multicultural nation, while in chapter 10, the tourists themselves perform in sites of “red tourism.” The last chapter is ironic even in its title, “Museums of the Future: Municipal Urban Planning Exhibition Halls.” These halls display objects that have not yet been produced; they are entirely utopian in ways that return to an early form of Maoism, but now as a “spatial embodiment of modernity and globalization” (246). Their emblem is the miniature model of the future city, with the skyscraper-studded profiles of Shanghai and Chongqing, and the old city preserved for the future in Suzhou. Denton notes that in these utopian cityscapes there are no people, just well kept architecture: “a brilliant utopian façade that real humans in all their messiness might disrupt” (262). Now that is irony. In his conclusion, Denton closes the circle by returning to the Road to Revival exhibit at the National Museum of China, where in November 2012 Xi Jinping gave his now famous “Chinese Dream” (中国梦) speech. Referencing Xi’s words, Denton wants to remind us that throughout his study he has shown how “past, present, and future are intimately intertwined in exhibitionary culture in China” (265). One has to wonder how Xi Jinping’s “dream” might change the dynamics of that exhibitionary culture once again.